Hudson River Playback Theatre, with Infinite Arms Puppet Theatre, presents Climate Matters, an interactive performance in support of the United Nations climate change conference in Bonn, Germany. The show includes a specially-commissioned short play, POND LIFE by Elyne Quan, enacted by shadow puppets, as well as personal stories told by audience members and enacted on the spot. A talkback with local climate activists will follow the performance. 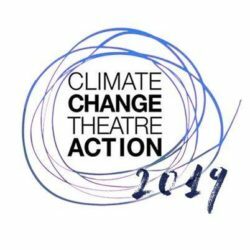 Cosponsored by the SUNY Theatre Arts department and New Paltz Climate Action Coalition, Climate Matters is open to all students, faculty, and the community. Hudson River Playback Theatre, a nonprofit ensemble, has been active in the Mid-Hudson Valley since 1990, performing for the community in theatres, schools, colleges, migrant labor camps, conferences, and more. They have performed by invitation in New York City, Boston, Washington DC, Montreal, London, and Frankfurt. HRPT has carried out frequent public performances on climate change since 2008. Infinite Arms Puppet Theatre was founded by Andrea Draznowsky and SUNY Theatre Arts faculty member Aidan Koehler. Andrea is a visual artist who began making stop motion animation puppet shows over a decade ago. Aidan has worked in theatre since 2005 as an actor, puppeteer, and teacher.